David gladly accepts MISSION VM826CHI to recruit wonderful volunteers from all over the city. David is a native of Chicago's Pilsen neighborhood. He has a passion for social justice, especially, programming that serves those who are marginalized in society. David studied Sociology and Anthropology at Carleton College. Some of his past missions include: educator, community organizer, performer and arts administrator. 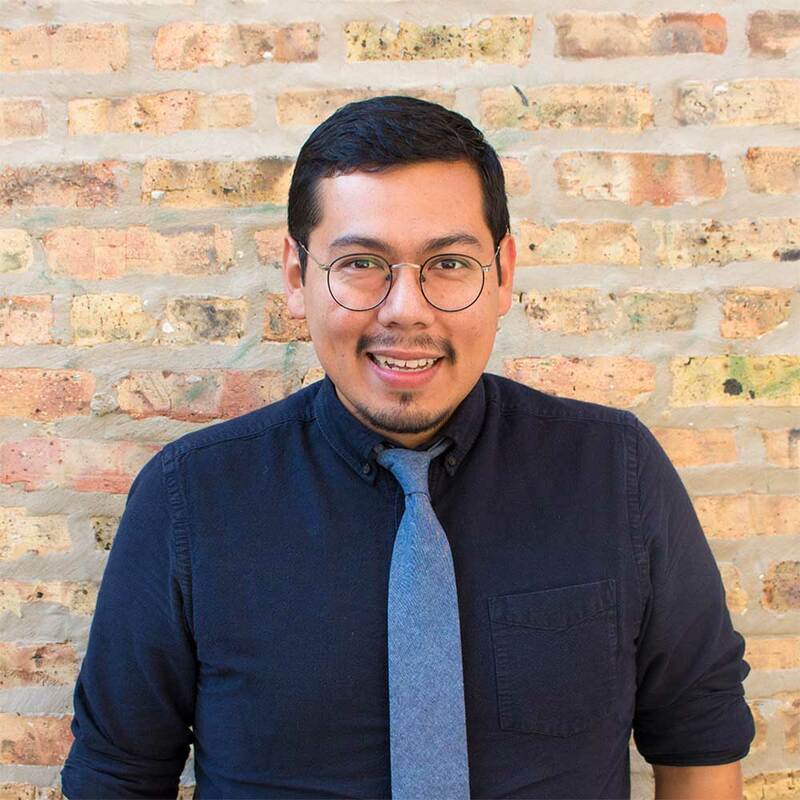 He's excited to combine his management, education and community building skills to further develop 826CHI's Volunteer Program. In his spare time David likes to take road trips and cuddle with his pups Frijol, Cacahuate and Chucho and enjoy a good plate of chilaquiles.